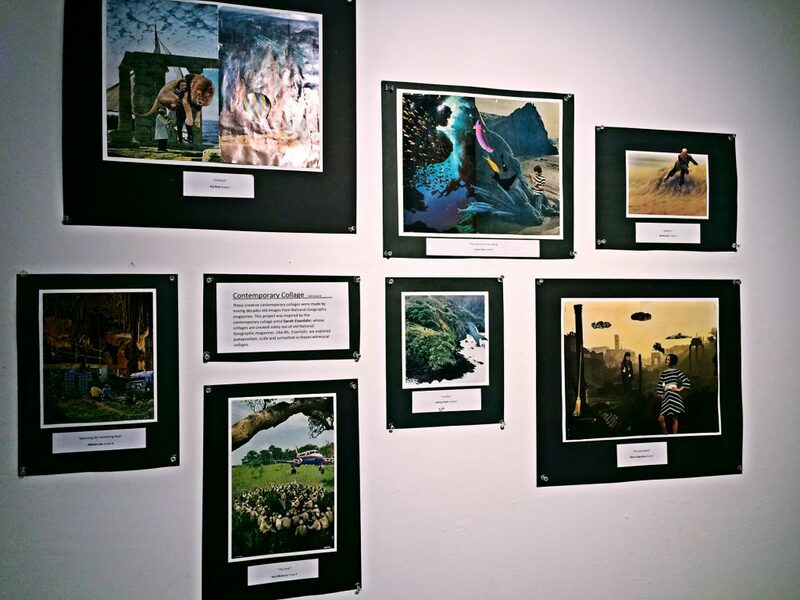 During the first week coming back from Spring Break, the Palmer Gallery at College Center is hosting an art exhibition of over 200 artworks by local students, celebrating the 32nd annual John Iyoya Children’s Art Show. For the first time in several years, the 2017’s show doesn’t coincide with the break, enabling the Vassar community to share the joy of seeing the children’s art. 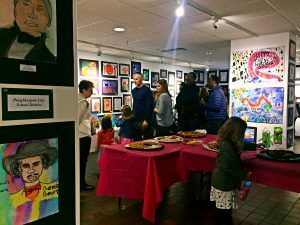 According to the official record, this year’s show includes artwork by students from Overlook Primary School, Noxon Road Elementary School, G.W. Krieger Elementary School, Warring Magnet Academy of Science and Technology, Morse Young Child Magnet School, Hagan Elementary School, Nassau Elementary School, Lagrange Middle School, Todd Middle School and Wimpfheimer Nursery School at Vassar College. The opening reception was held on the afternoon of Mar. 26. The Palmer Gallery brimmed with color, filling with more art pieces than ever. The children worked with diverse genres such as collages, paper quilling, watercolor, graphite and papier-mâché, expressing heart-warming themes and powerful messages. Family and friends of the young artists joined to participate in the celebration of art and creativity. Proud parents took pictures of children smiling in front of their creation. The teachers on duty took the opportunity to discuss the outstanding artistic accomplishments of the children with their parents. Won then spoke of her experience in working with children and employing ways to integrate art into teaching, “Even though school day can be super limiting, with short periods and not enough planning time, I really tried my best to incorporate creative art in various aspects of my teaching pedagogy. I would have students create symbols for learning new vocabulary and create comic illustrations as a form of communicating the main idea to me. I would even encourage them to act out various scenes from the class reading as a form of assessment. The local teachers devoted time and passion in collecting the children’s art and displaying them, striving to provide their students a perfect exhibit. Art teacher from the Poughkeepsie School District Pat Solomon recounted the preparing process behind the scenes. 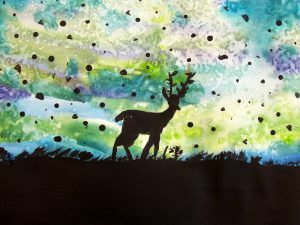 The Iyoya Art Show is beneficial for the local students to showcase their work and is essential Andrea Yang Reporter FEATURES This painting is by Alexandria Joseph, a 6th Grader in Michele Gory’s class at Todd Middle School. 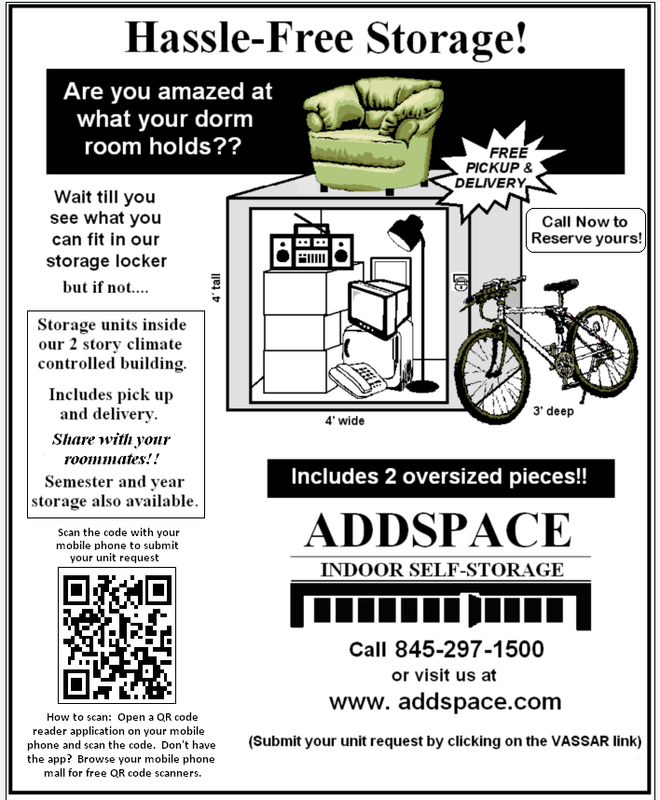 Other schools in the Vassar community featured students’ work in this exhibit. Courtesy of Michele Gory On March 26th, the Palmer Gallery held an opening reception for the Iyoya Art Show. Family and friends of the students attended to celebrate their artistic achievements. Andrea Yang/The Miscellany News for the community. The teachers are glad to have this opportunity to celebrate their students’ accomplishments.